Eight-year-old Maisy had a CT scan which showed an unusually full stomach and a mass on her spleen, which led her vet to diagnose possible cancer. During an operation to remove the spleen, Wakefield-based vet Nick Blackburn found the soft toys in her stomach. Mr Blackburn said "this was not something we were expecting to find". "We all know certain dogs enjoy chewing things they shouldn't but managing to devour four full teddy bears is quite a feat," said Mr Blackburn. 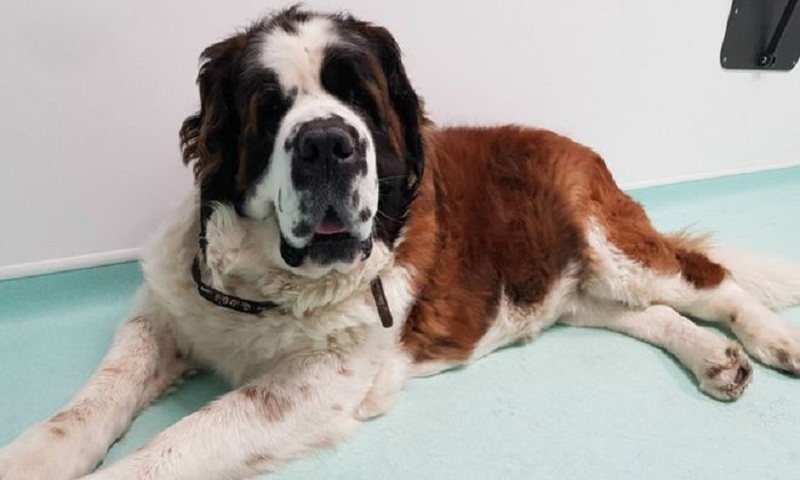 Mr Blackburn, who works at Paragon Veterinary Referrals, said Maisy had since made a full recovery from her operation and a histology report showed no sign of cancer. The dog's owner Jane Dickinson, from Roberttown, near Dewsbury, said the recovered teddies were stolen by Maisy from the family's Chihuahuas. "Her eating habits had been completely normal." Ms Dickinson added: "When Maisy went in I did think 'is she coming out?' But she is loving life now." "It's like she's got her youth back."